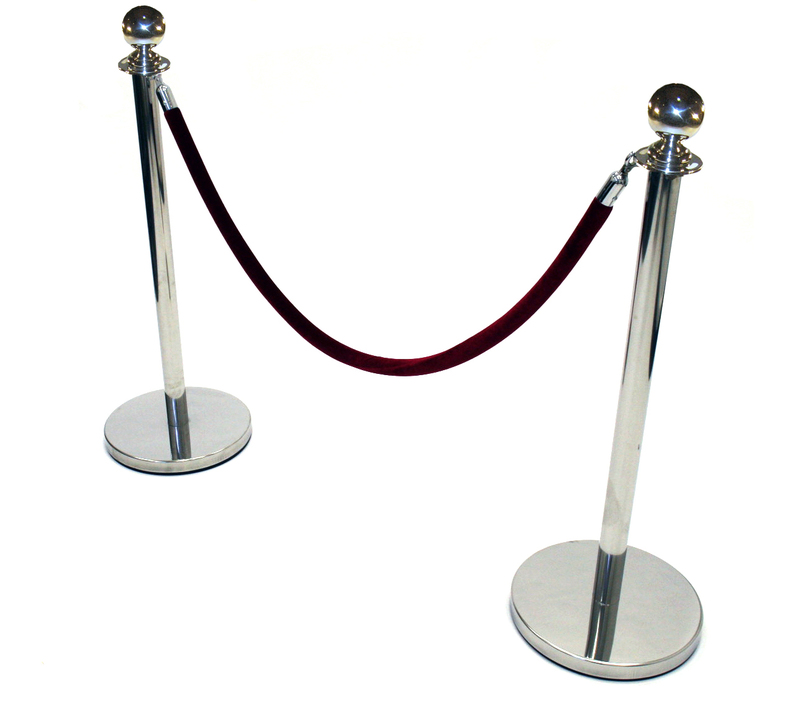 These rope & pole cafe barriers (stanchion barrier) are often used for new cafes set ups and those bars, cafes who have the opportunity to spread out onto the pavement but need to mark their boundaries. 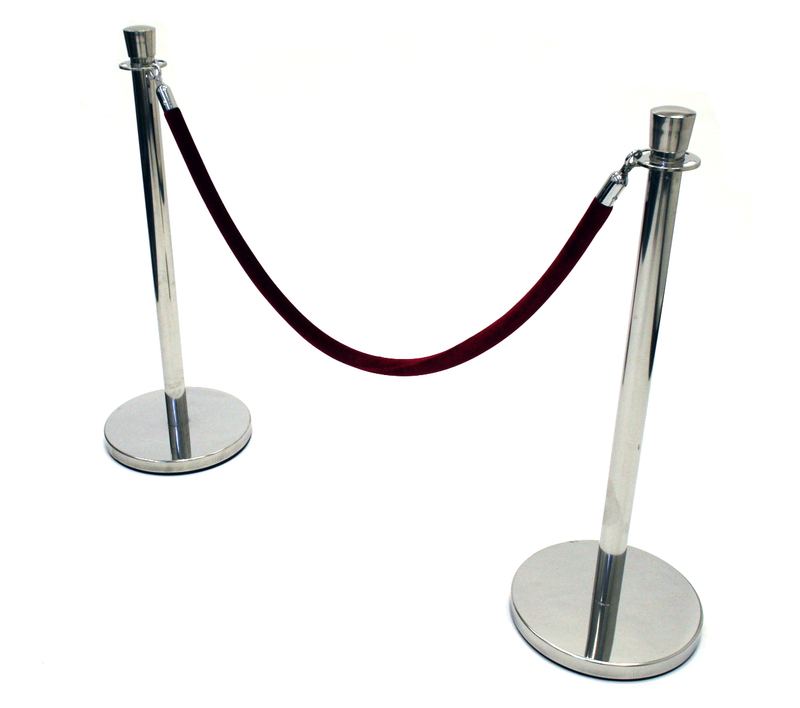 Often used at venues for giving weddings and events a VIP formal feel. 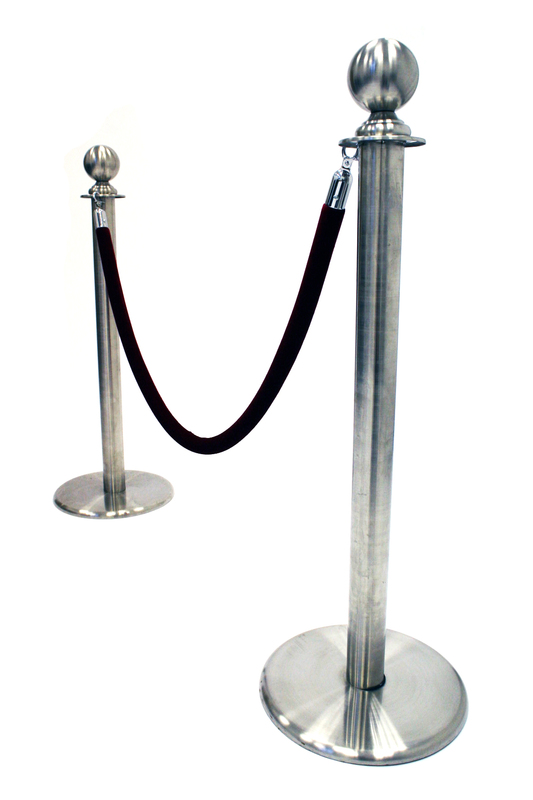 Crowd control barrier posts available in stainless steel (natural and gold finish) with heavy weight bases. 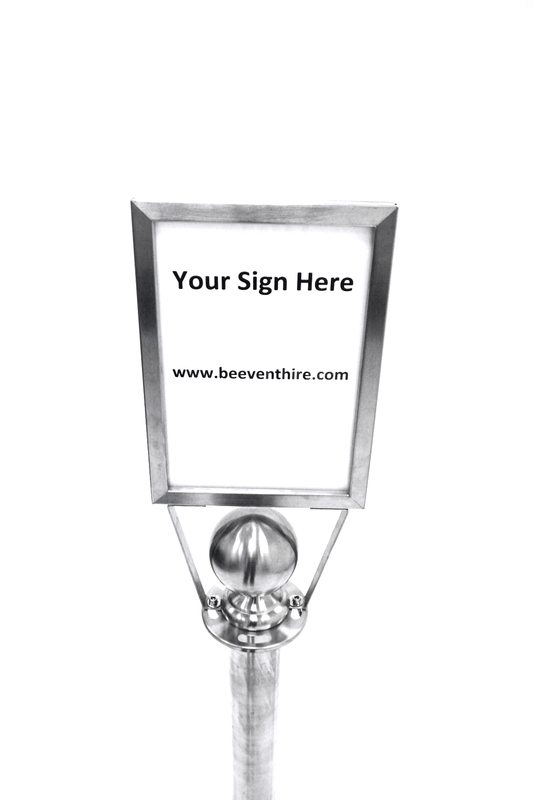 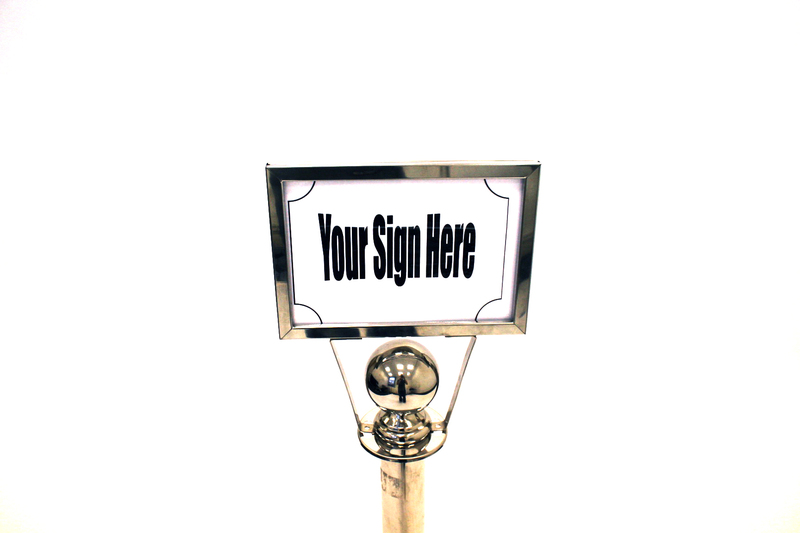 Barrier posts are also available with ball top, crown top with the option of A4 sign holder. 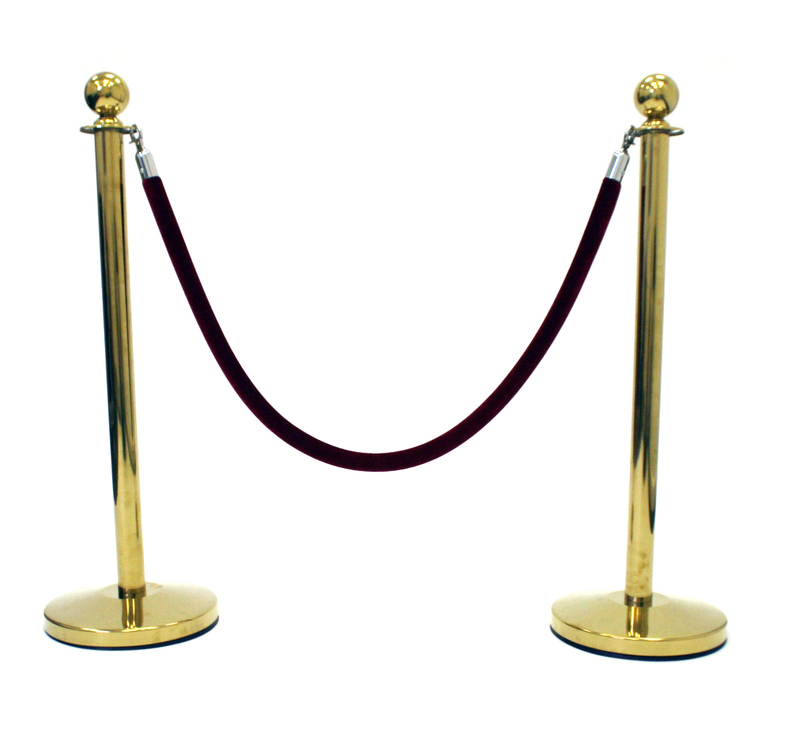 Please note price is per post, picture is just to show how two attach to each other and barrier ropes purchased separately.